A successful email campaign can bring in a lot of business. Many Easton Communications clients have ongoing email campaigns to stay in touch with customers on their email list. 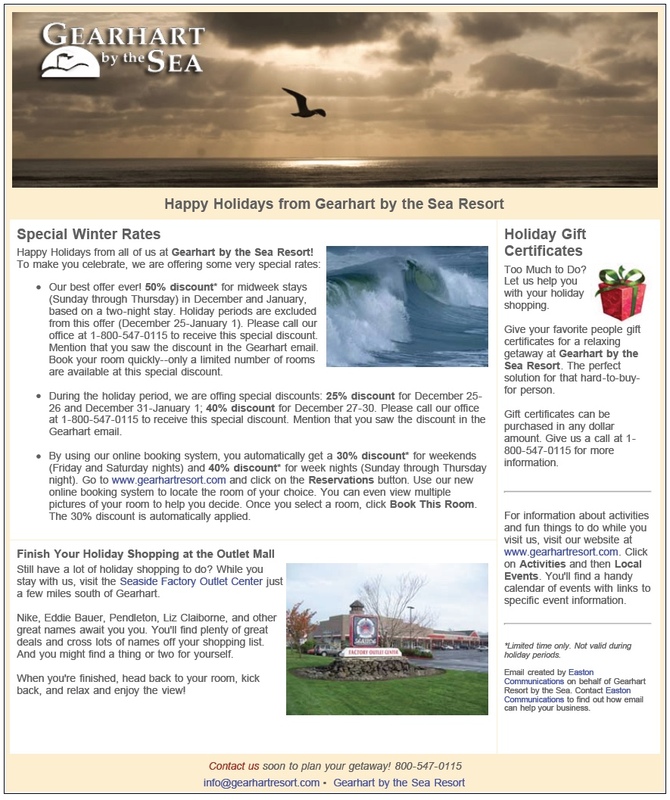 This is a sample of a monthly email that goes out to customers of Gearhart Resort on the Oregon Coast. The email content is created using a third-party tool such as Constant Contact (my personal favorite), Cooler Email, or Mail Chimp. Each service has different features, but they all store a list of email contact information. A robust email list is often one of the most important virtual assets a company owns.